This floral design Slimbridge suitcase is perfect for women who want to travel and go on a prolonged holiday abroad. It can pack a lot of your wardrobe, allowing you to carry it with ease. The floral pattern looks vibrant and inspires holiday enthusiasm. I love it. It is chick and elegant at the same time. I’ve bought it last summer, and took it for a ride several times since. So far, quality wise, I’m very pleased with its durability, and ease of maneuvering. It doesn’t feel like an affordable suitcase at all, but rather a pricier and more premium quality model. The floral pattern makes it look extra attractive and much more expensive than it actually is. The Slimbirdge Algarve super lightweight suitcase is surprisingly sturdy given its price. Sold as an affordable suitcase, you’d expect compromises here and there. I’m very glad though, that they haven’t made any compromise on durability. The fabric itself is very scratch resistant, and all features work like they were designed to, even after several times using it. The wheels are strong and very durable, able to withstand the weight even when you decide to pack the suitcase full of clothes (as I always do). I love that both the wheels and telescopic handle are extra reinforced with plastic and bolts. It means that you can handle the suitcase any way you like, and even maneuver it around more aggressively. Guess what, nothing will give you the impression that it might break or become damaged. 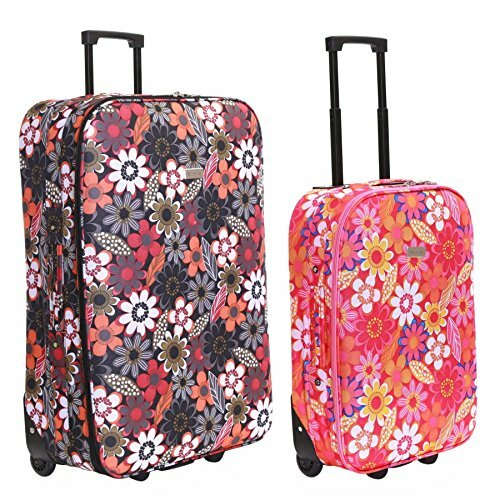 The floral pattern, aside from being elegant and chick, is also easy to spot when you claim your luggage. On a crowded airport, it’s easy to keep track of as well. The zip mechanism is reliable, and the handle on top is very durable. 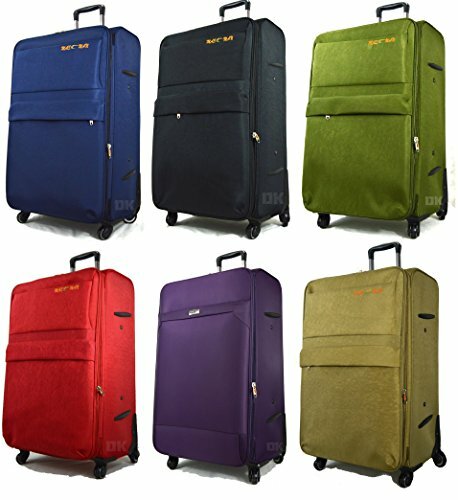 All in all, it’s a nicely designed suitcase, which is really practical and affordable too. People buy the large one more often than the small, but they also buy them in pair as well. The reviews on Amazon are super positive, which made me feel better when ordering in the first place. 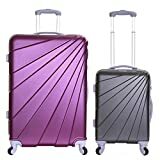 I bought the large, because I never use a hand luggage suitcase myself, but reading the reviews, it seems as though both are same in terms of quality and durability. 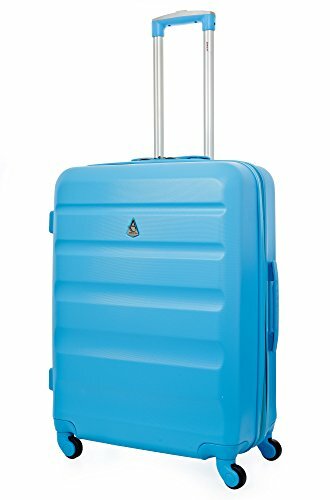 If you want a suitcase for traveling with more than half your wardrobe, this Slimbirdge Algarve super lightweight suitcase is definitely one of the best deals available online. Highly recommended!